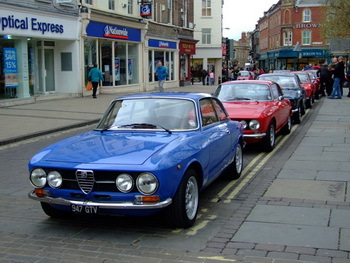 Over 100 beautifully presented Alfa Romeos from the Alfa Romeo Owners’ Club UK took over the streets of York as part of a weekend of Italian-themed festivities, spurred by Alfa Romeo’s Centenary, which included a large Italian market and musical performances. 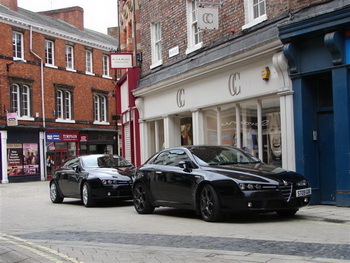 The Alfa Romeos represented all of the ages of the marque, from the 1929 1750 Super Sport Zagato, belonging to AROC’s Vintage Registrar Carol Corliss, through to the latest Brera Italia Independent, MiTo Cloverleaf and GT Special Edition, all part of the display from Piccadilly Alfa Romeo of Knaresborough. Piccadilly also brought along a stunning black 8C Competizione which was the focus of a huge amount of attention from the general public. 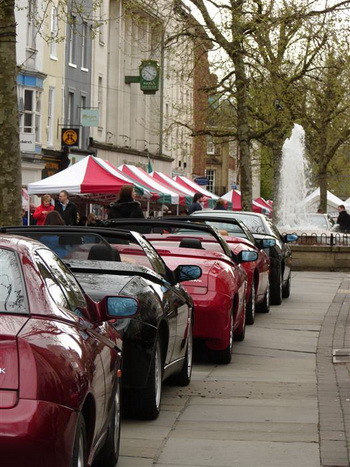 Many Club members had travelled from across the country to be part of the special event, indeed from as far as Scotland and the South of France, all meeting up at focal point of the Alfa Romeo Hospitality Unit in St Sampson’s Square itself. Reaction from the general public during the day was remarkable, with people drooling over the hood-down Spiders, posing for photographs by the Vintage cars, and stopping for long chats with the various owners. Many just could not believe the variety of models, but all were taken aback by their general condition, presentation and sheer beauty! The club was also delighted to sign up a good many new members, inspired by the collection of cars on display.